The December 2017 Newsletter is here! 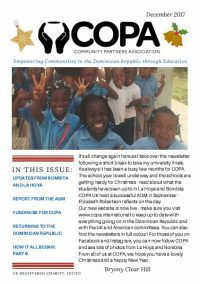 The COPA December 2017 Newsletter has just rolled off the printing press! It contains some great articles covering the latest news from La Hoya and Bombita. Take a look here for a full colour version. Please share the link with friends and family.